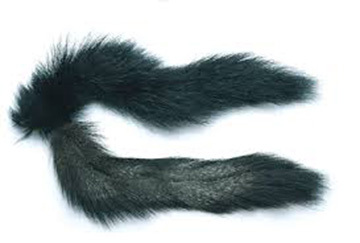 Mink makes a really good alternative to stoat, and the tails are longer with far more hair. The fibres of fur are around the same length as stoat and just as mobile in the water. We also use mink as a replacement for squirrel in many patterns. Relatively soft with a fantastic sheen. Very good winging material.